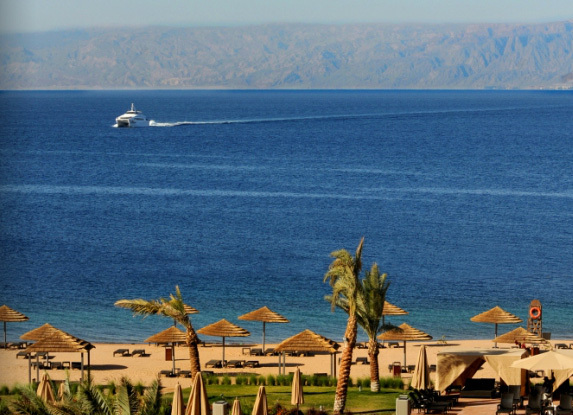 There is a long and great beach between Hotel Radisson Blu Tala Bay and the Red Sea. Beach chairs are available and they are not too close to each other. This way you have space and peace, also at the beach. This is a positive rarity. 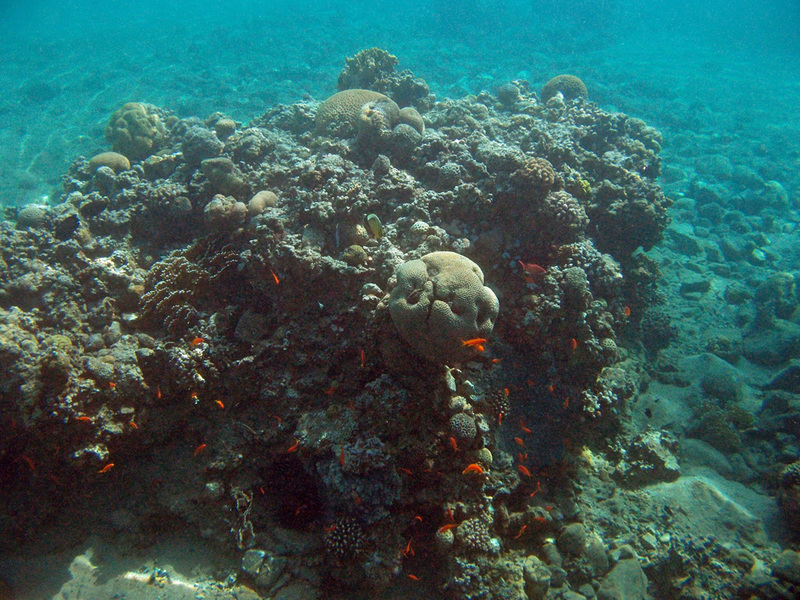 The magnificent Red Sea offers something for each and everyone. You can see small, big, colourful, dangerous and poisonous fish in the sea. 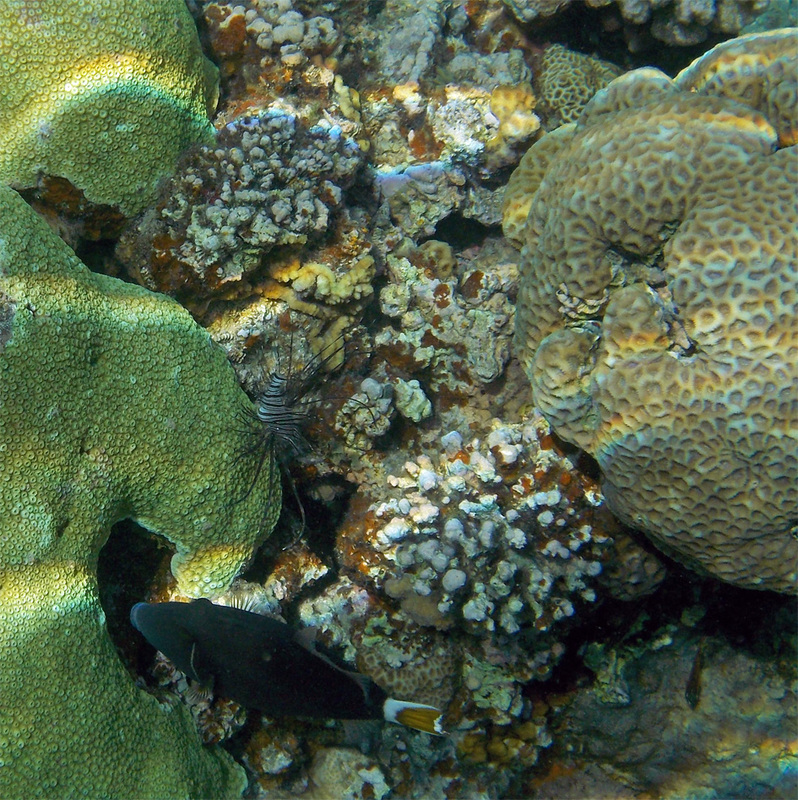 The corals and plants vary depending on where you are, but they all offer a beautiful and colourful show. You can also see small crabs, lizardfish and fabulous sea urchins on the sandy bottom close to the shore. The difference in the sea life between Egypt and Jordan is the amount of venomous fish we saw in Jordan. It was quite exciting to see and photograph new fish species and venomous fish. 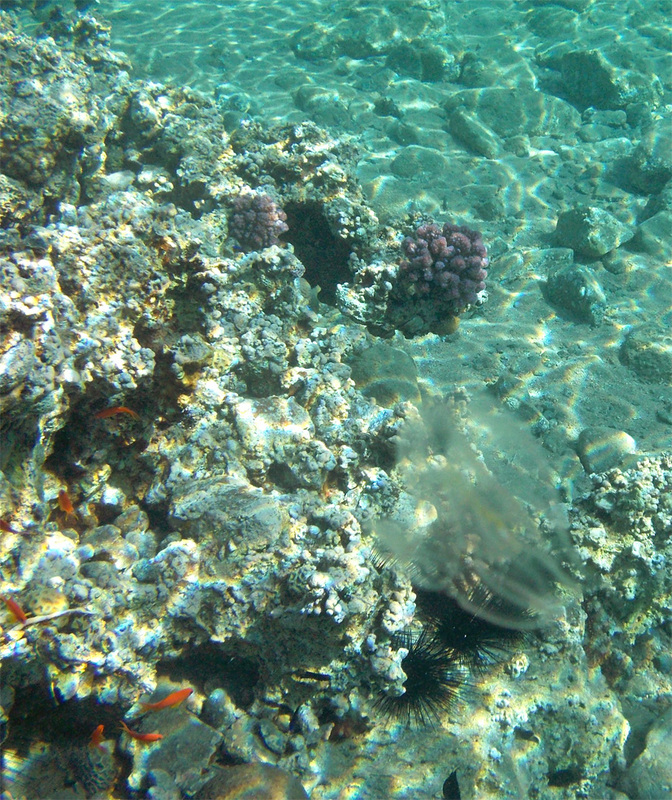 In Egypt the sea life is more colourful than in Jordan. The Lionfish (Pterois Volitans) is part of the Scorpionfish (Scorpaenidae) species, which take their name from the venomous spines positioned on the dorsal fin. They are also voracious predators. 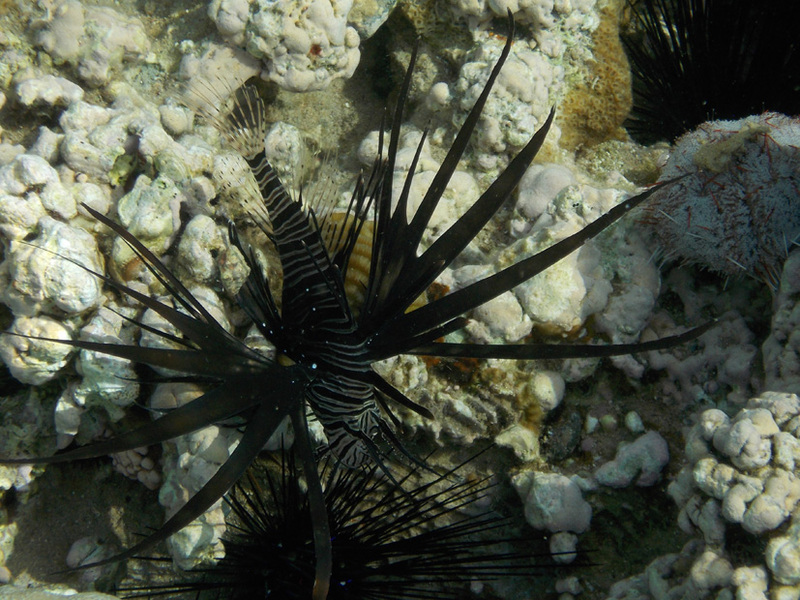 The Black Lionfish (Pterois Miles) is extremely beautiful. The Scorpionfish (Scorpaenopsis oxycephala), for example the Tassled Scorpionfish, is also part of the Scorpionfish (Scorpaenidae) species. It is quite a venomous fish. It is sometimes called “false stonefish” as the resemblance to the Stonefish is remarkable. 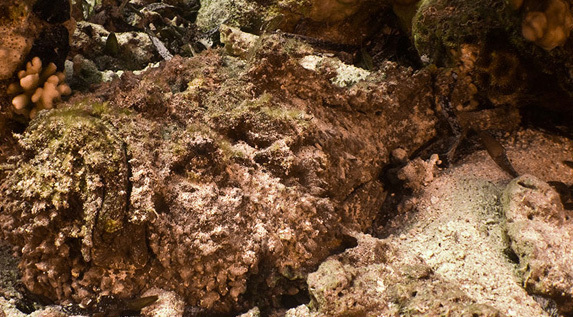 The mouth of the Scorpionfish is more hiorizontal than the one of the Stonefish. 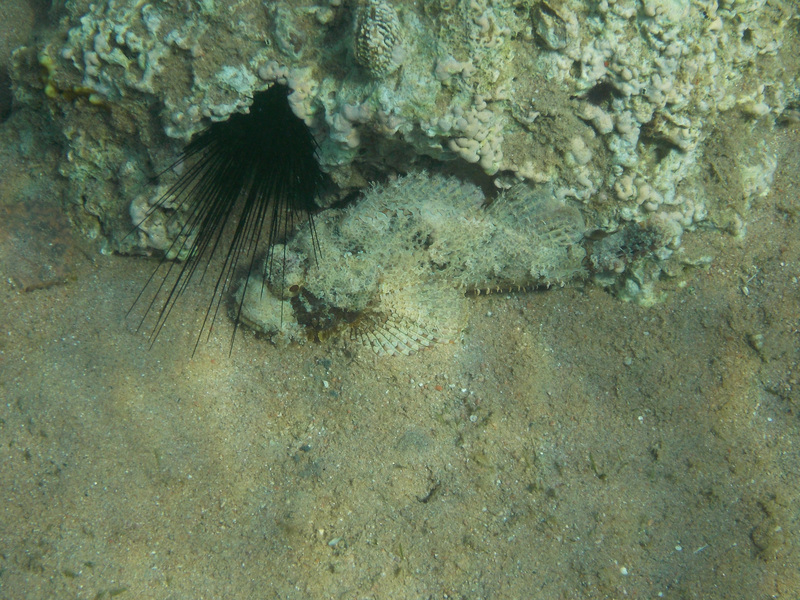 Whilst I photographed a small Scorpionfish, it suddenly moved, which is rare, and “flew” away. I am glad it “flew” away from me, not towards me. The Stonefish (Synanceia Verrucosa), is the most venomous fish in the world! You better not step on one of these. You can be paralyzed and you can die. 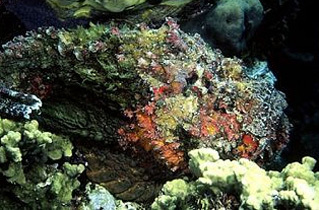 Stonefish use incredible camouflage to ambush their prey. They blend into their environment very well. 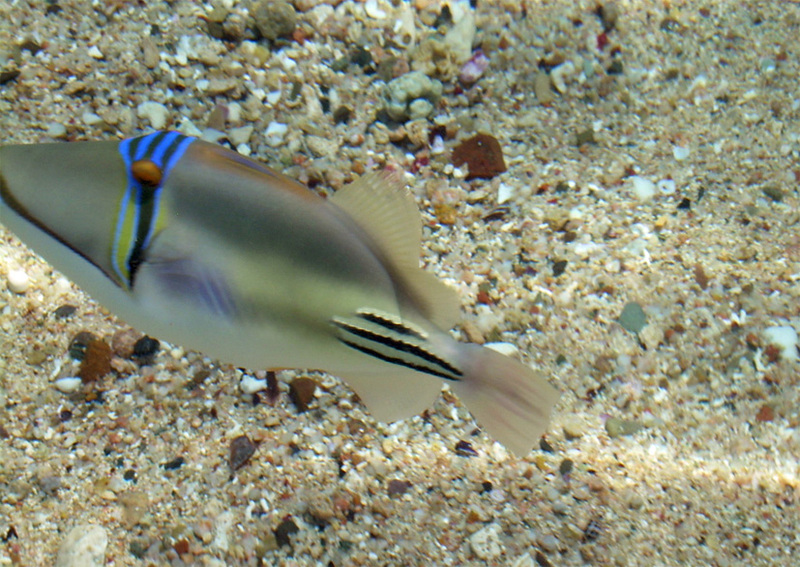 They live in shallow waters and are a danger to bathers who may step on them. We were lucky. 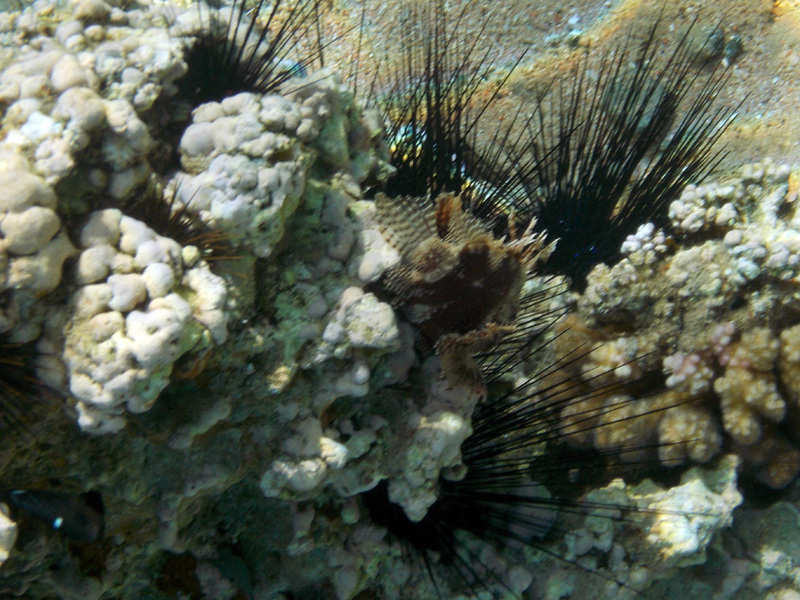 A nice man from Lappeenranta, Finland, warned us about the hundreds of Sea Urchins (Echinoidea) just minutes before we stepped into the Red Sea. We moved carefully step by step until the water was about 30 cm deep. 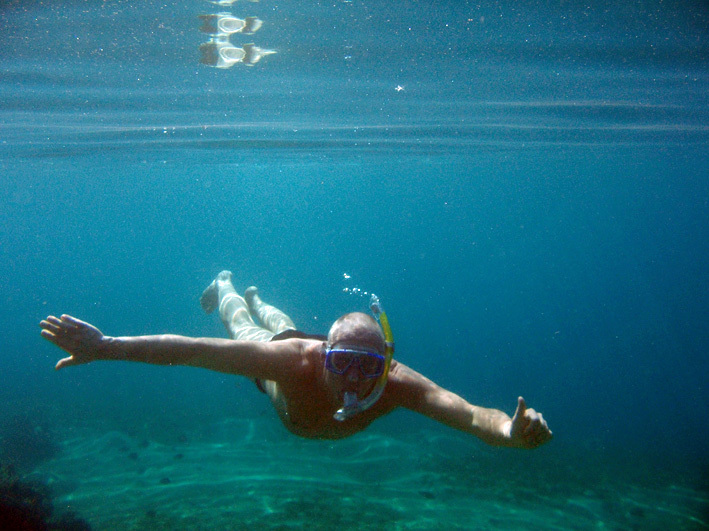 Then we dove carefully into the Red Sea, sliding above the Sea Urchins and other dangerous species. 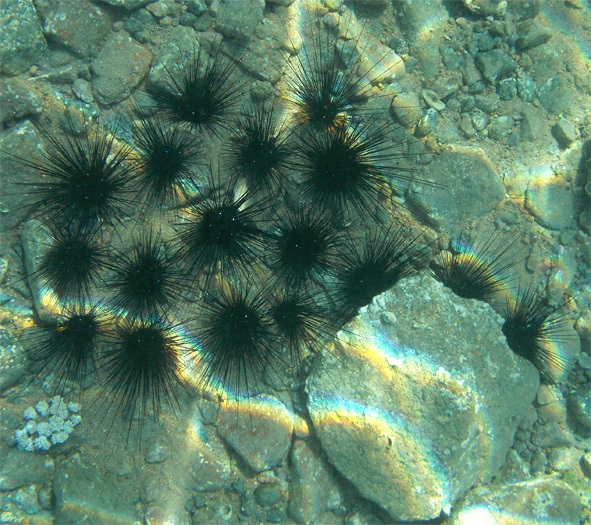 I saw hundreds of black Sea Urchins. First I was a bit “scared” how all this will end, but then I relaxed and focused on the superb views around me, took photographs and remembered to keep my feet at least 60 cm above the bottom. 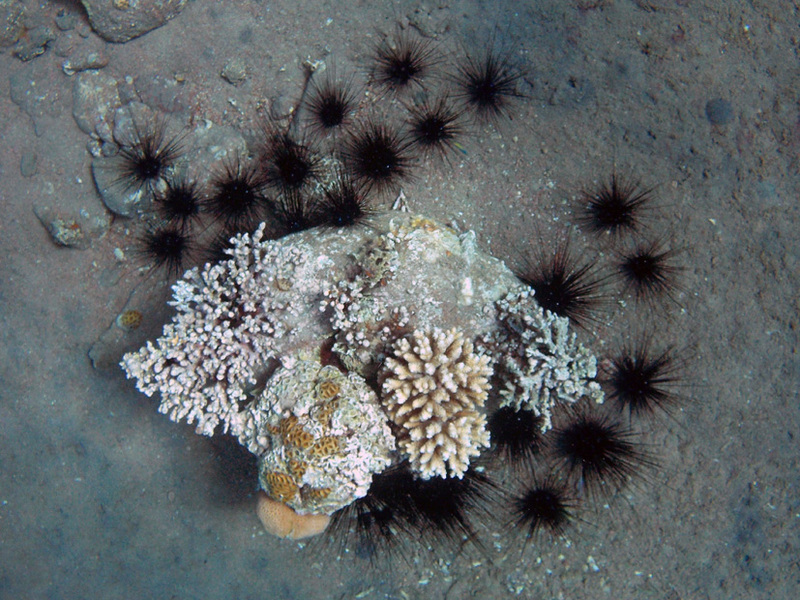 The Sea Urchin’s body, closed in a compact shell, is covered with spines which are mobile. The mouth is surrounded by strong teeth and opens underneath. This allows this echinoderm to crop algae. We had invested in a new waterproof camera. Not a too expensive one, but a good one for amateurs like us. We took hundreds of pictures and also some videos. We spent half of the days in the Red Sea. I can warmly recommend this hobby. During the 4th day something odd happened. I was stung in the sea. I wondered if I only imagined it. I could not see anything and no more stungs were felt. The next day I was stung maybe a hundred times. Small burning stings hit me everywhere. I got worried and a bit scared. My husband appeared next to me and when I got my ears above the water, he told me we were in the middle of a cloud of Jellyfish. I took some pictures quickly and swam to the shore. I spoke with the life guard to check if he knew about these Jellyfish. He did. He said they should not be dangerous, but it could be a good idea to wait and see if I would feel sick or get red arms and legs. Then it would be good to see the doctor at the hotel. No strange feelings or red skin! I was so happy. What an exciting experience, though I cannot recommend to try how many small electric stings feel. You can see more pictures on my Pinterest page. Welcome to follow my Pinterest boards. I admire Jacques-Yves Cousteau. His incredible adventures in the sea have affected many of us. I think Cousteau has something to do with my interest to take some PADI Open Water diving courses 20 years ago and that I am now a great fan of the Red Sea. 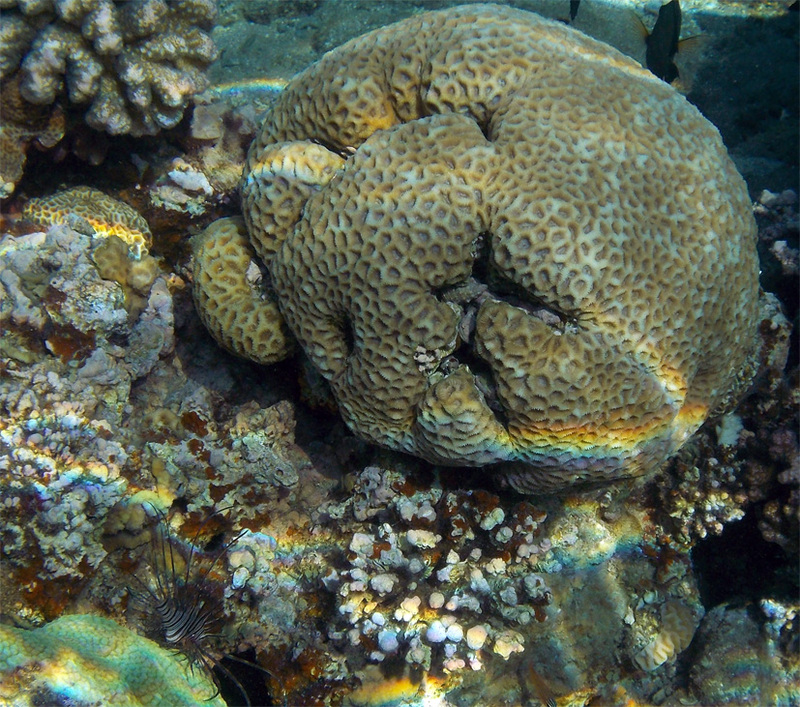 My husband shares my passion to explore the shores of the Red Sea and photograph the beautiful sea life.